April 18, 2011 - Secretary of Transportation Ray LaHood and Federal Aviation Administration Administrator Randy Babbitt on Sunday announced changes to air traffic controller scheduling practices that will allow controllers more time for rest between shifts. The new scheduling rules have already been put in place and will be fully in effect by the end of the week. Controllers will now have a minimum of nine hours off between shifts. Currently they may have as few as eight. They will no longer be able to swap shifts unless they have a minimum of 9 hours off between the last shift they worked and the one they want to begin. Controllers will no longer be able to switch to an unscheduled midnight shift following a day off and FAA managers will schedule their own shifts in a way to ensure greater coverage in the early morning and late night hours. Today, FAA Administrator Babbitt and NATCA President Paul Rinaldi will be in Atlanta, where they will begin their Call to Action on air traffic control safety and professionalism meetings. The goal of the Call to Action is to reinforce the need for all air traffic personnel to adhere to the highest professional standards. Over the course of this week, they will visit air traffic facilities in and around the following cities: Atlanta; Dallas - Ft. Worth; Kansas City; Chicago; New York; and Washington, DC. The two will also visit the air traffic control training academy at the Mike Monroney Aeronautical Center in Oklahoma City. Senior members of both FAA and NATCA leadership teams will also be visiting additional FAA facilities nationwide over the next few weeks. In addition to changes in scheduling practices, the Call to Action effort will include the development of a fatigue education program to teach controllers the risks of fatigue and how to avoid it. The FAA will also commission an independent review of the air traffic control training curriculum and qualifications to make sure new controllers are properly prepared. NATCA will expand its own Professional Standards program nationwide which focuses on peer-to-peer education for controllers on how to maintain the highest degree of professional conduct. The FAA suspended an air traffic controller early Saturday morning for falling asleep while on duty during the midnight shift at the Miami Air Route Traffic Control Center. According to a preliminary review of air traffic tapes, the controller did not miss any calls from aircraft and there was no operational impact. Prior to the start of the shift, all controllers were given a briefing on professionalism and the importance of reporting to work fit for duty. The incident was reported to a manager by another controller. There were 12 controllers on duty and two managers. Transportation Secretary Ray LaHood and FAA Administrator Randy Babbitt were briefed on the incident by David Grizzle, acting chief operating officer of the Air Traffic Organization. 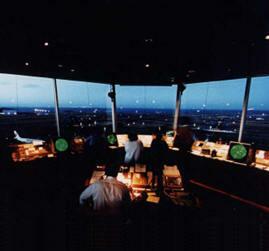 Last Wednesday, Secretary LaHood and FAA Administrator Babbitt announced that the FAA would place an additional air traffic controller on the midnight shift at airport control towers and other facilities around the country that were staffed with only one controller during that time.